Each year in November, the Upper Grand District School Board marks Bullying Awareness and Prevention Week. Every year, students and staff across the UGDSB step up in a big way to address bullying and cyberbullying while learning strategies for promoting safe schools and a positive learning environment. Below are a few examples of the many initiatives that take place during Bullying Awareness and Prevention Week. 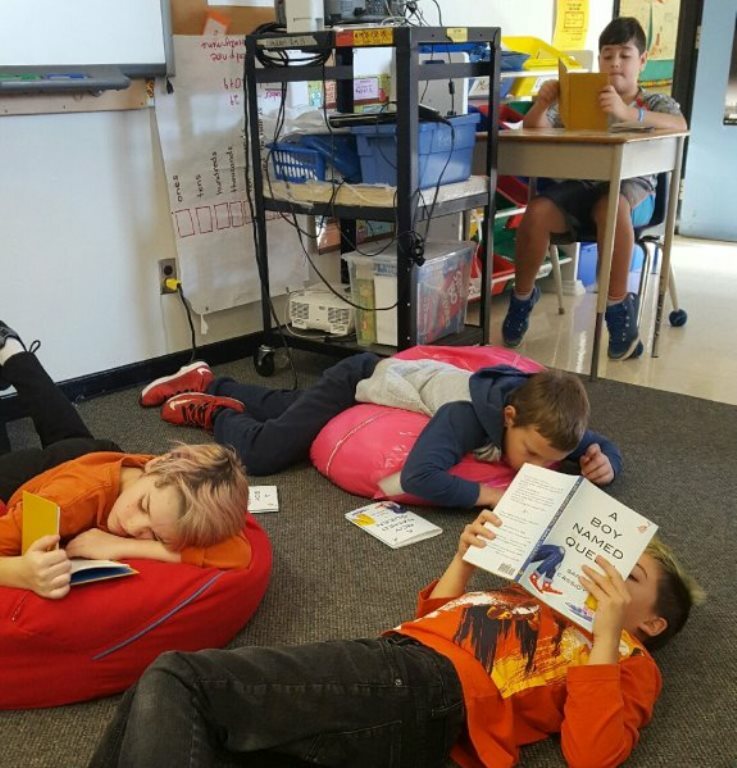 Ms. Lundahl’s class learned about anti-bullying by reading A Boy Named Queen, which features powerful anti-bullying messages. Students reflected with their teachers about bullying vs. bothering and telling vs. tattling. We will also create a bulletin board together that shows how we will ‘hang bullying out to dry.’ Make sure to have a look in the front hall as the week progresses. On Wednesday, we are asking everyone to wear pink. Wearing pink reminds us of how bystanders can put a stop to bullying. 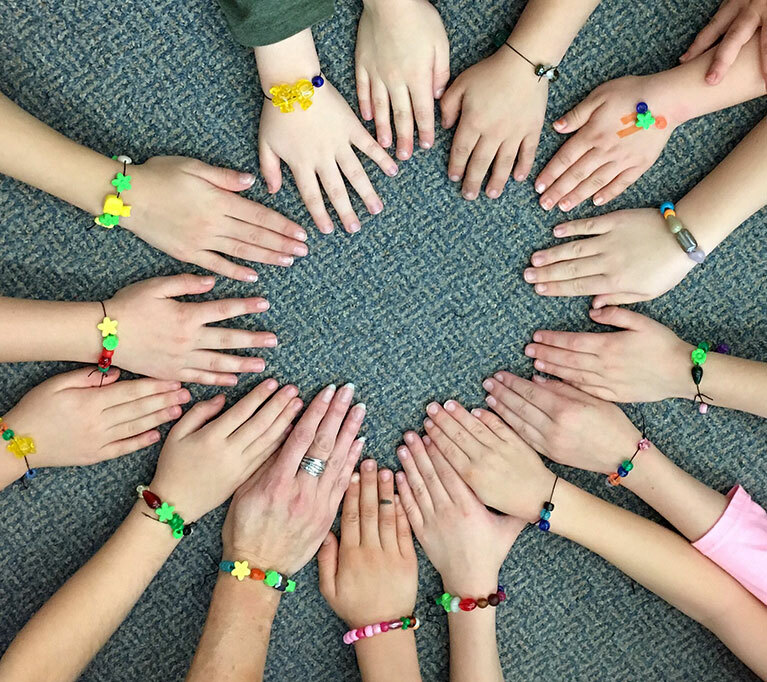 Student made friendship bracelets and participated in mandala colouring for Bullying Prevention. Marcelino DaCosta aka Frostflow spoke to students about standing together to stop bullying. 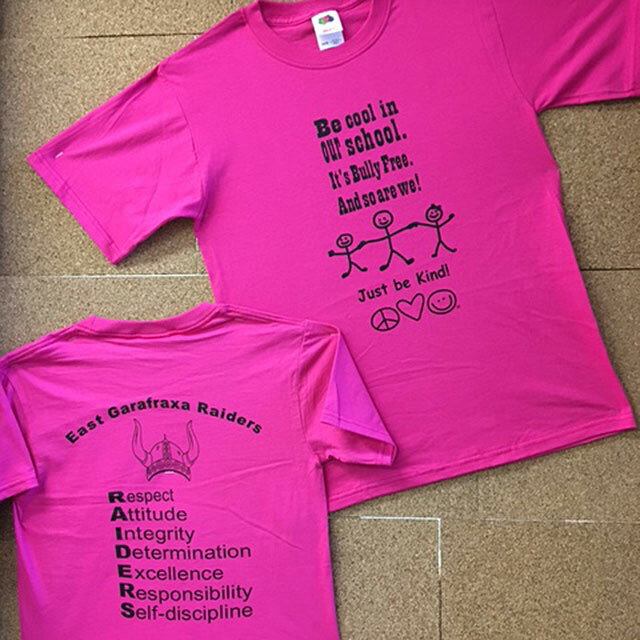 Students collaborated and designed a school spirit/anti-bully t-shift that was on sale at the school leading up to Pink Day on Thurs. Nov. 24. Magic filled the air during an anti-bullying presentation by Brent and Sarah. 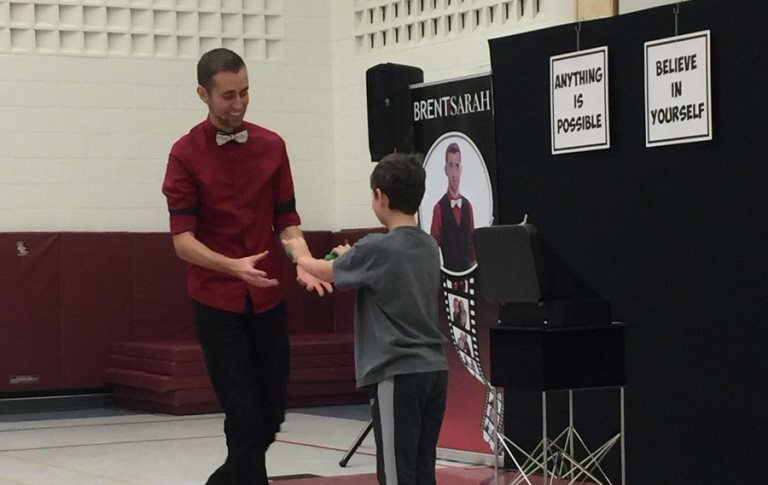 Brent and Sarah are a husband and wife duo that take their magic show to schools to deliver inspiring messages about understanding and overcoming bullying. Human Rights Activist and Motivational Speaker Chris D’souza was at Eramosa PS, speaking to students and parents about the importance of equity and inclusion. 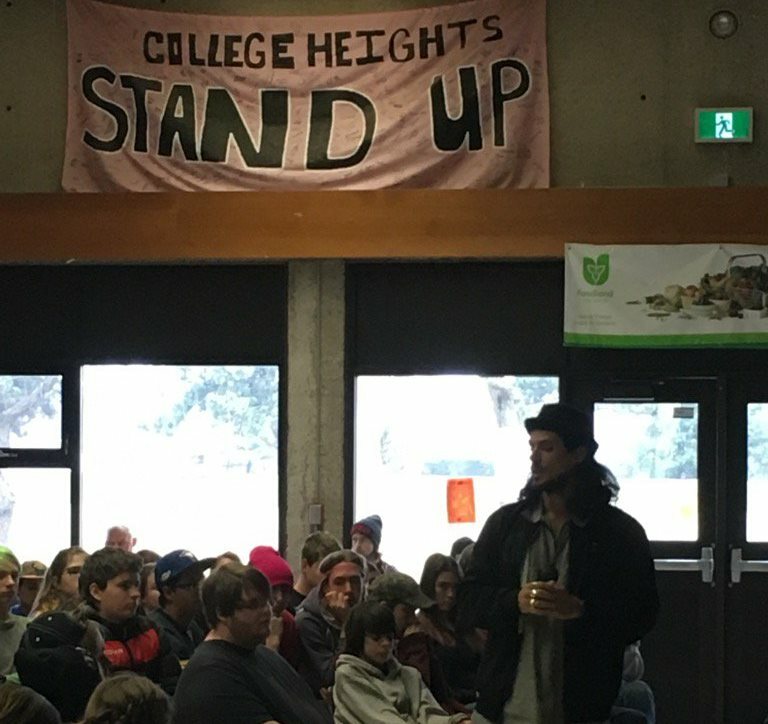 Chris D’souza spoke to students about diversity, inclusion and acceptance, critical thinking, indigenous peoples and history. He challenged students to think about the assessments we all make when meeting someone new (in 45 seconds we are making judgments on age, ethno-cultural background, country of birth, sexual orientation, marital status, faith). He said we should be celebratory and accepting of our differences. Things like homophobia, sexism, racism etc. We aren’t born thinking that way, we’re taught that. He talked to them about indigenous history in Canada and the deals that were broken. He encourages everyone to be feminists, to challenge what the media portrays as “normal” or “beautiful”. He spoke about stereotypes. Stereotypes can be eliminated with a bit of education. He spoke about eliminating hurtful and harmful words that we use for people. No one says “flip side” anymore, so why can’t we get rid of those harmful words. 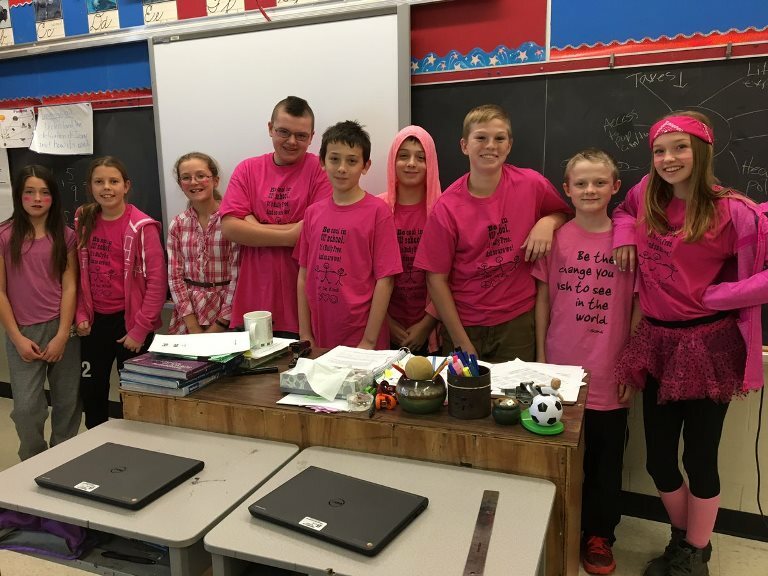 Students and staff participated in pink shirt day. 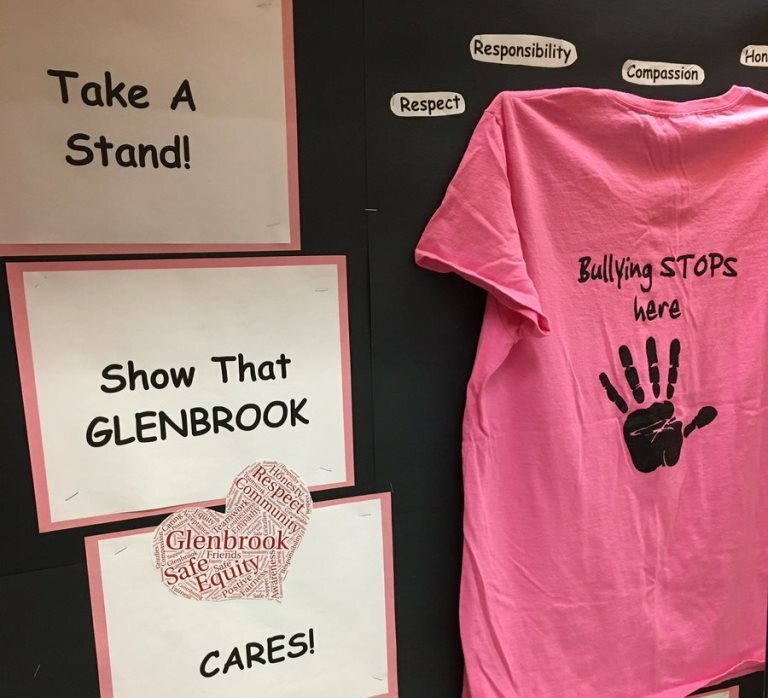 Students at Glenbrook ES took a stand against bullying. The school welcomed One Movement, who shared their bullying awareness message with students, “It takes just one movement to end bullying.” On Wednesday staff and students wore pink shirts that said “Bullying Stops Here.” Messages posted around the school encouraged students to show they care by living with compassion and showing respect. Students discussed the difference between bullying and conflict and the learning strategies they could use to resolve conflict. Students and staff also participated in pink shirt day. Guelph CVI hosted a safe schools assembly presented by the Guelph Police Services, messages of anti-bullying were discussed with students. Harris Mill PS welcomed Brent and Sarah to share messages about standing up to bullying with the use of tricks and stories. Hyland Heights Elementary School’s Me to We group prepared challenges and announcements to run all week. The school also has PSAs, which were created by the 5/6 class, running all week on a local radio station. Thursday was pink shirt day. 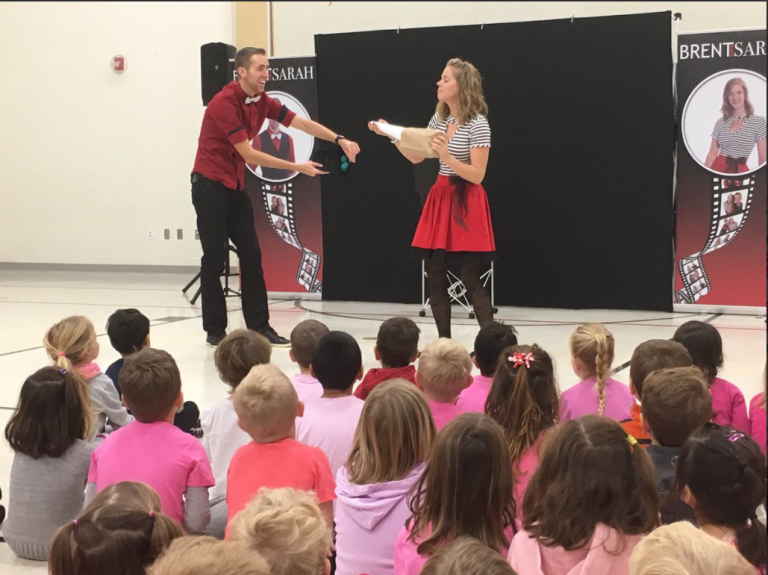 Gord Deppe of the band “The Spoons” and Scott Graham of Kids4Kids Leadership, presented an interactive presentation to students and staff about leadership and bullying prevention. 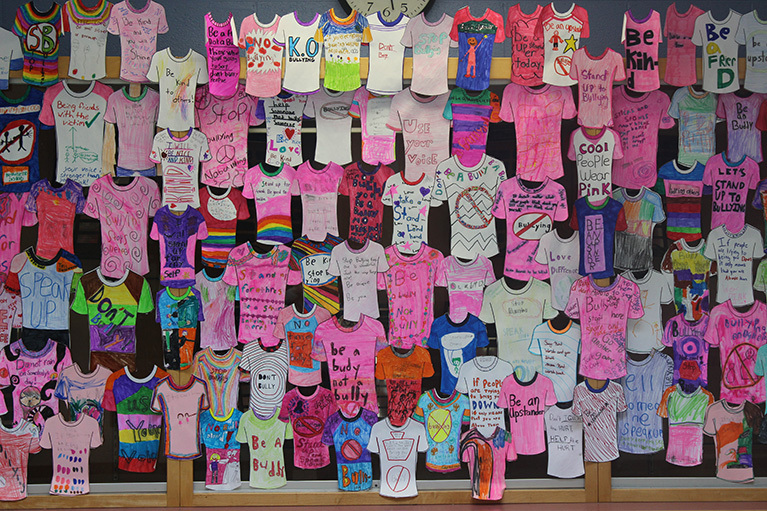 In conjunction with “Wear Pink on Wednesday” students also created paper t-shirts with positive bully awareness and prevention messages. 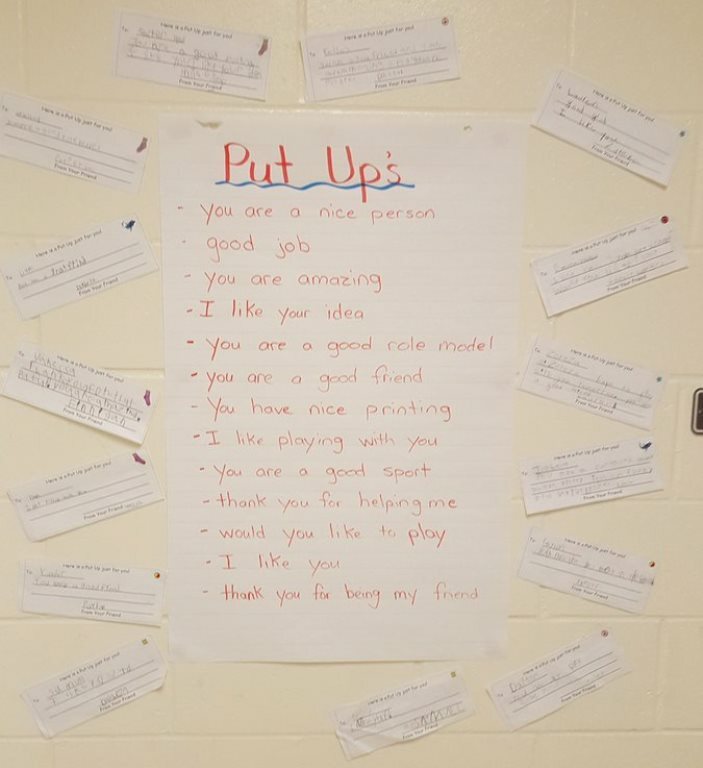 John Galt PS used “put ups” to increase kindness inside and outside of the classroom and to support anti-bullying week. 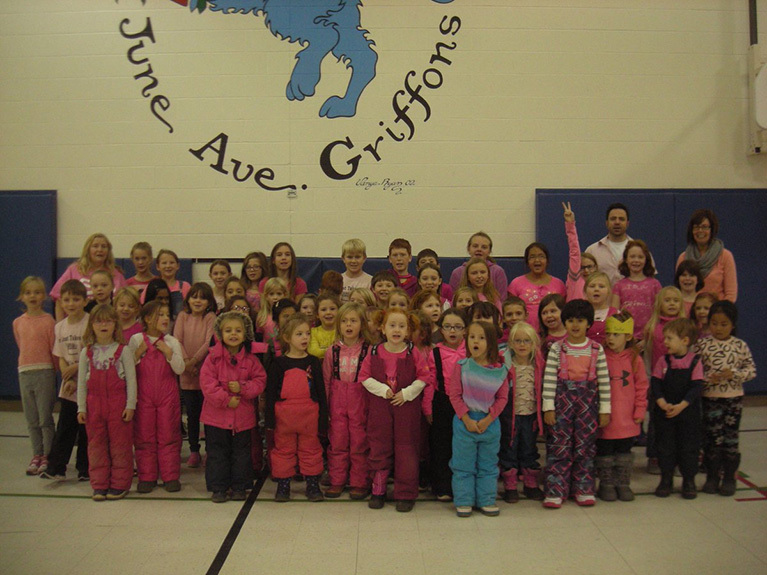 June Ave joined a number of UGDSB by celebrating Pink Day. École King George PS started off the week with a guest speaker, Angie Roberts, who works in the student recruitment office at the University of Guelph. Roberts spoke to the grade 6-8 students about internet safety and social media awareness. On Monday evening she also spoke to the school’s parent population. Roberts demonstrated how public everything is that gets posted on social media. Students were very interested and some were quite surprised at some of the information she presented. Kortright Hills PS spent the week encouraging the uniqueness of others and actively learning more about each other in order to stop bullying. The school held challenges throughout the week, such as saying thank you to someone who did something kind. Messages and artwork lined the school’s halls, encouraging others to inspire positive change, and say kind things to others. On Wednesday staff and students wore pink for bullying prevention. 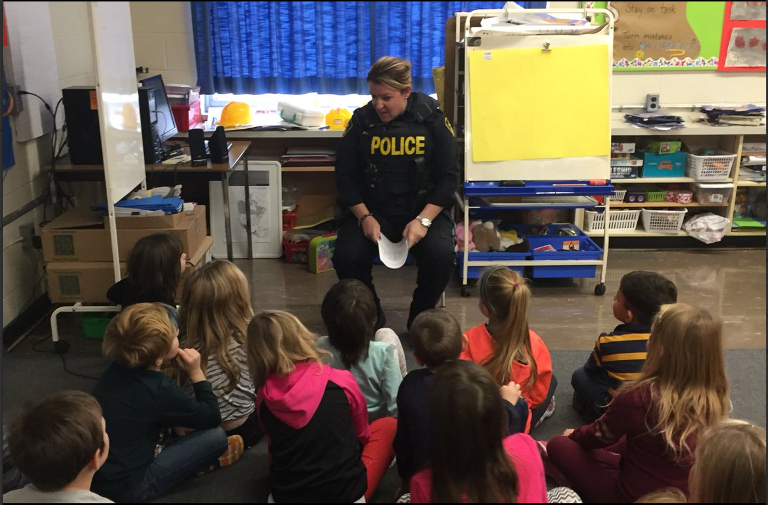 Minto-Clifford PS welcomed community partners to read anti-bullying stories to students. PCPS had bullying awareness announcements every day. Students worked together to create 3 Bead Totems. They made bracelets with three main beads surrounded by smaller beads. 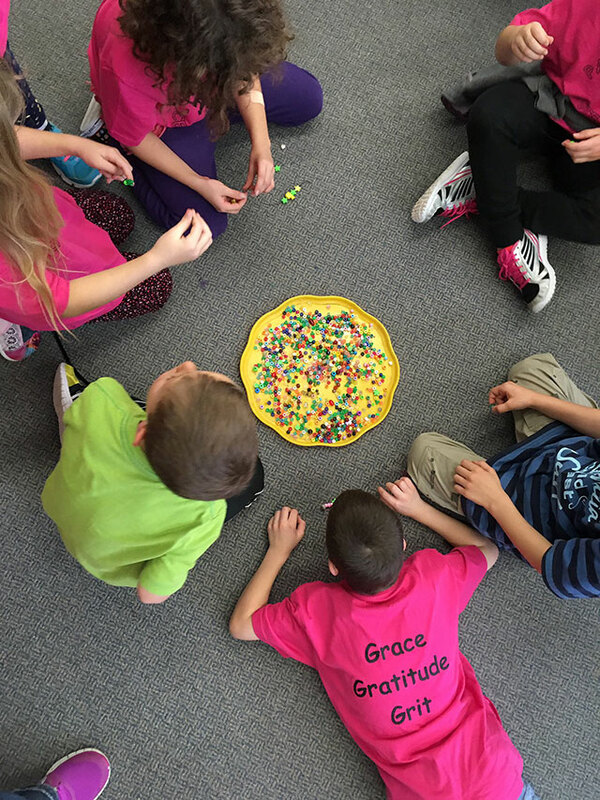 Each bead was carefully chosen to represent one of three laws that represents what a safe class looks like. Thursday the school celebrated Pink Shirt Day, with all of the students decked out in their pink shirts and 3 Bead Totem bracelets. Students at Primrose ES were challenged to try new things. One challenge included smiling at 10 new people because a smile lets people know they are not alone. Staff and students participated in pink shirt day. 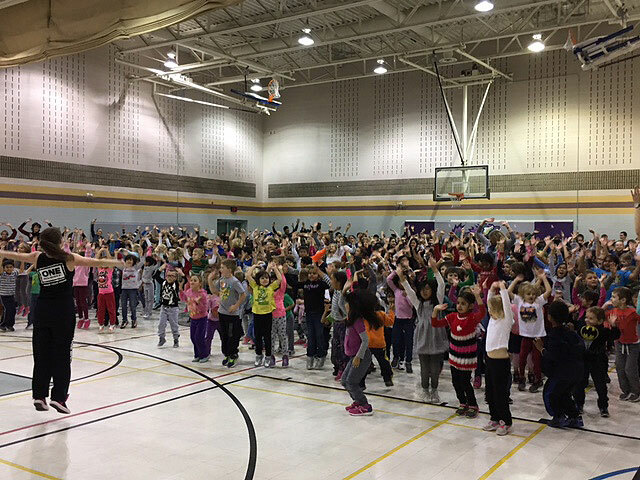 Taylor Evans PS held anti-bullying activities all week, including daily announcements focused on bullying prevention and being a friend, school-wide spirit activities, classroom visits from a Child and Youth Counsellor, and a spirit day on Wednesday where everyone dressed in pink. Each student also received an eraser with the message “TEPS Erases Bullying” on it. Students gathered for an assembly that featured The We Movement. The We Movement shared an inspiring presentation about anti-bullying. On Monday, all of the JK to grade 6 students heard a powerful anti-bullying message from local author and illustrator Janet Wilson. Wilson shared her positive message about social justice, inclusion and equity. Students learned that through working together to promote compassion and peace, they can make the world a better place. 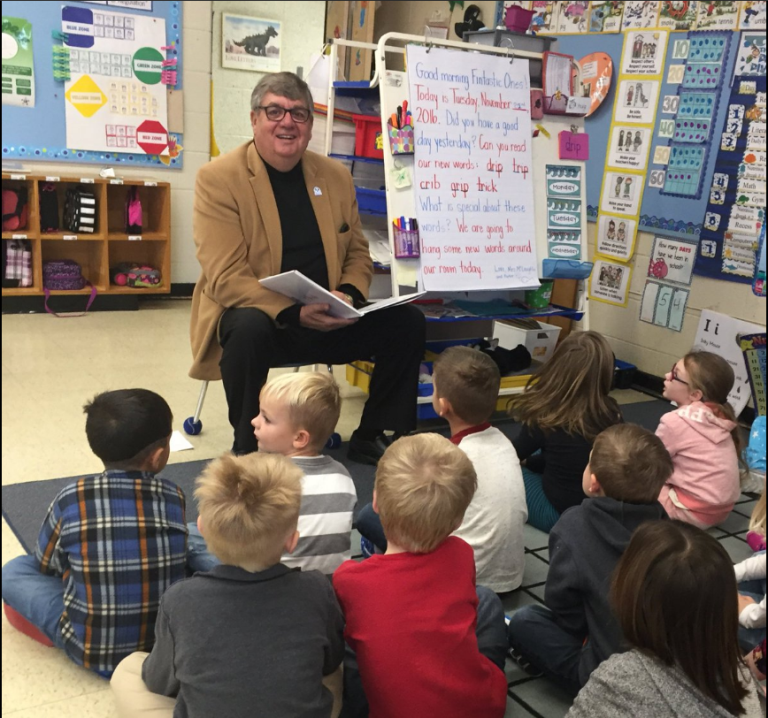 Throughout the week, the school focused on the prevention of bullying and reviewed strategies to use if you are being bullied or if you witness an incident of bullying. The week’s activities tied into the school’s ongoing work around student identity, respect and inclusion. 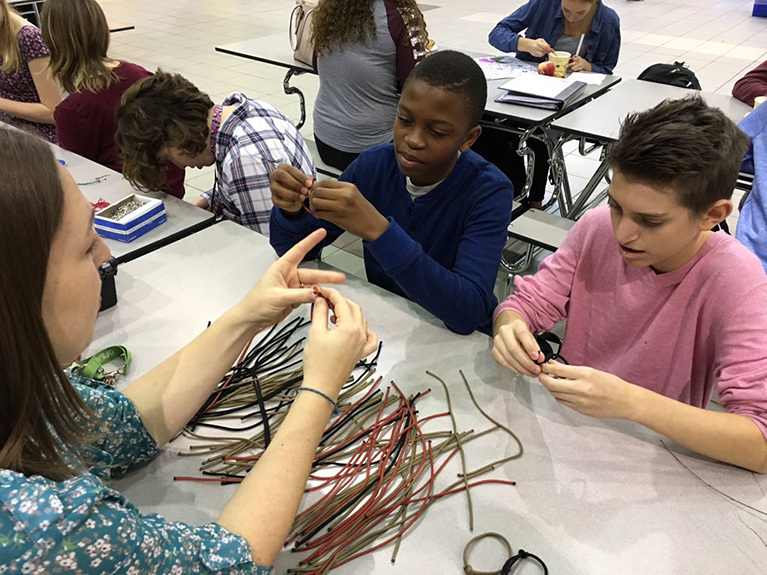 Throughout the fall, students and staff have been focusing on identity, individual characteristics and different learning styles. Part of this focus was working toward this Thursday, when the school displayed students’ “Walking in Your Footsteps” projects. Each student created an artistic representation of their feet and contained information about their personal goals, what they’re working on improving, who in their life is important to them, and reflections on what they’ve learned about themselves. The projects were laid out in the halls around the school, allowing each student the change to “walk in the footsteps” of their fellow schoolmates. The goal is that this activity will lead to future discussions in classrooms and a greater understanding that everyone is a special individual who can be celebrated and included in the school community. To kick off the week, students participated in a buddy walk. 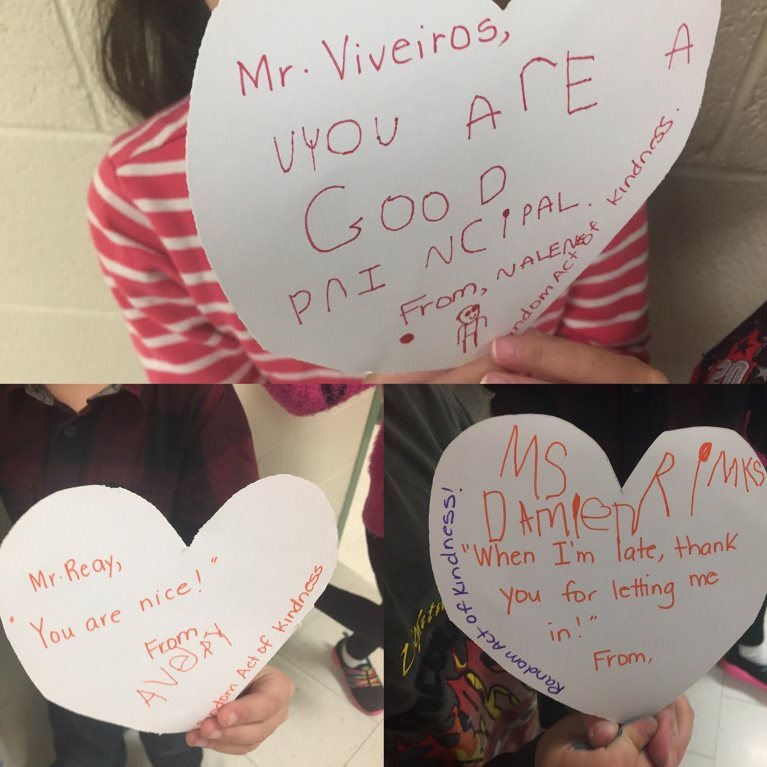 Kindergarten students at Willow Road PS made kindness hearts and shared messages with the special people in their lives. Students and staff also participated in wear pink day.